Rasheed Bank, announced Monday, opening a branch in the province of Wasit. Follow-up – and babysit – said a ministerial source said the budget next year, voted on by the Council of Ministers reached 106 trillion dinars. 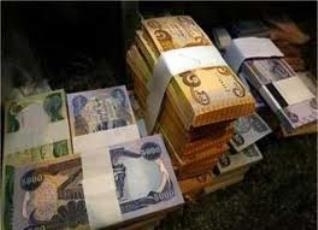 The source said today, “The Council of Ministers voted on the draft general budget bill for next year at $ 106 trillion dinars, and a deficit estimated with 23 Trliuna”. Rafidain Bank confirmed, seeks to support the national economy, by keeping up the progress and cooperation with Arab and international banks, noting that it will contribute to an increase of foreign banking transactions. Baghdad / follow Baghdadi News … confirmed the Federation of Egyptian workers, on Sunday, he took the second installment of the Egyptian labor dues that were operating at the beginning of the nineties of the last century in Iraq. Ministers voted for them in the new government sworn constitutional! Reassured the Oil Ministry, oil companies operating in the country to facilitate the tasks of work and eliminate the obstacles experienced by these companies in government departments and ministries concerned, after receiving numerous complaints from the sufferings of large companies to work inside the country. I set up the “Iraqi Dinar Opinions” category so we can post different perspectives and points of view that differ between websites, news media, rumors, “guru’s” and well educated people as it pertains to Iraq and the Iraqi Dinar speculation. An article was recently published, “Inside The Dubious Dinar Revaluation Ruse”.